This stunning bracelet from Thomas Sabo is made from 925 Sterling Silver with Cubic Zirconia pave. 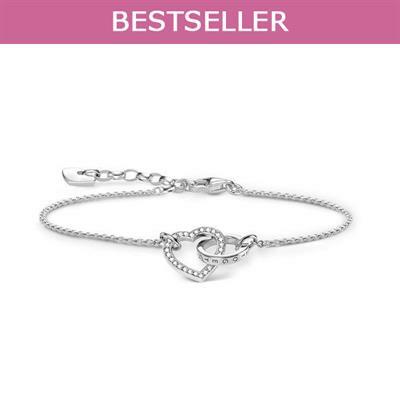 The interlocking heart design symbolises eternal love. With a timeless, feminine look, this bracelet is the perfect romantic gift for her! Packaging: This bracelet comes packaged in an exclusive Thomas Sabo red heart box.